Latest in the line of peculiar allegations hurled this election season is Congress ally in Gujarat Alpesh Thakor's claim that the complexion of Prime Minister Narendra Modi has turned fair because he eats mushrooms imported from Taiwan that cost Rs 80,000 per piece. 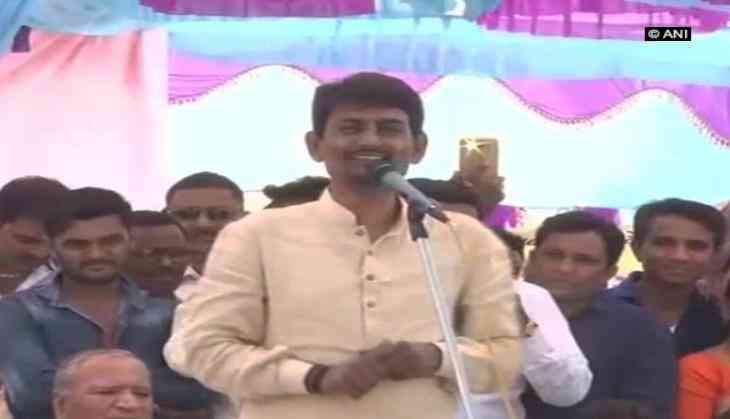 "Someone told me that you can't eat what Modi ji eats, because it's not a food for the poor," Thakor said addressing a gathering in Gujarat's Vadgaon, and continued the anecdote, saying he was told that the Prime Minister eats mushrooms that come from Taiwan. "One mushroom costs Rs 80,000, and he eats five mushrooms a day. That is why I wonder how he turned so fair. He was as dark as me," Thakor added. Thakor also alleged that the same person told him that Prime Minister Modi has been eating those mushrooms since he became the chief minister of Gujarat, in 2001. "The Prime Minister who eats mushrooms worth Rs 1.20 crore in a month, you can imagine how many crores of money his workers must be eating up," Thakor added. Amidst the Gujarat elections, both Bharatiya Janata Party (BJP) and Congress Party are leaving no stone unturned to claim victory. The controversial statements range from Congress leader Mani Shankar Aiyar's "Neech" remark at the Prime Minister to the allegations of treason against Aiyar and other senior Congress leaders by Prime Minister Modi. Can social networking keep people healthy? READ NEXT >> Can social networking keep people healthy?